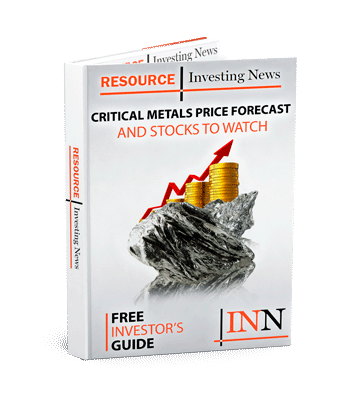 Australian rare earths producer Lynas (ASX:LYC) reported record sales volume for the final quarter of 2018. Rare earth oxide sales volumes reached 5,522 tonnes during the quarter, generating AU$79.9 million in revenue. Lynas was able to achieve the record-setting volume sales despite rare earth oxide production being down 798 tonnes from the previous quarter. The production shortfall is the result of a temporary production halt in December. Quotas were also subdued as final upgrades to the AU$35-million NEXT separation circuit project were completed. Despite the lower output, over 600 tonnes of NdPr was produced in October 2018 for the second month in a row. “November and December production was affected by the final commissioning of our Nd and Pr separation processes which entailed the shutdown of 1 of the SX5 NdPr production trains and the hold up of material in the new separation stages,” Amanda Lacaze, company CEO, said in the press release. “Production was also temporarily halted in December as we reached the annual approved limit for processing of lanthanide concentrate. The combined effect was a reduction in NdPr production by over 400 tonnes,” she added. Maxing out production quotas wasn’t the only issue Lynas faced in Malaysia during the quarter. In September, the Malaysian government selected a review committee to evaluate the company’s Malaysian operations in relation to health and safety, health, environmental safeguards and residue storage. Prompting Lynas to issue an open letter calling for “fairness and transparency” during the review process. The review committee concluded in early December, ruling Lynas Malaysia operates a low-risk project compliant with applicable laws and had not breached its operating license. While the review found Lynas compliant, a subsequent statement from the Ministry for Energy, Science, Technology, Environment and Climate Change (MESTECC) outlined two new pre-conditions Lynas would be required to meet in order to renew its Malaysian license in September. The company remains in negotiations with the Malaysian government to achieve a resolution. Malaysia wasn’t the only contentious jurisdiction for Lynas during the last quarter of 2018. Even though Lynas has not mined in Malawi for a number of years the company had retained its mining license. During Q4 2018, the Malawi government purported to cancel the group’s Malawi mining lease. Lynas plans to petition for a judicial review proceedings in the Malawi courts to challenge the decision. “Our team used this time to complete a number of Lynas NEXT upgrades and other works that we are unable to undertake while the plant is operating. Production recommenced at the start of January,” said the report. Despite its issues overseas, Lynas’ domestic operations performed well through the December quarter. In Western Australia, at the Mt Weld project, the company was able to commence its planned mining campaign 3. Over all the company performed well in relation to the market. Lynas’ shares were down 1.82 percent Tuesday (January 22), trading at AU$1.61.